“ Morning Kidzzz”, (it’s actually afternoon) but I couldn’t have a post about Keke and not reference her right? Anyway, we all know what day it is … Monday! Last week we were breaking bad habits and this week we’re pushing through with the help of my girl Keke. We all have celebrities that we like for various reasons, some for their music, appearance, lifestyle, etc. 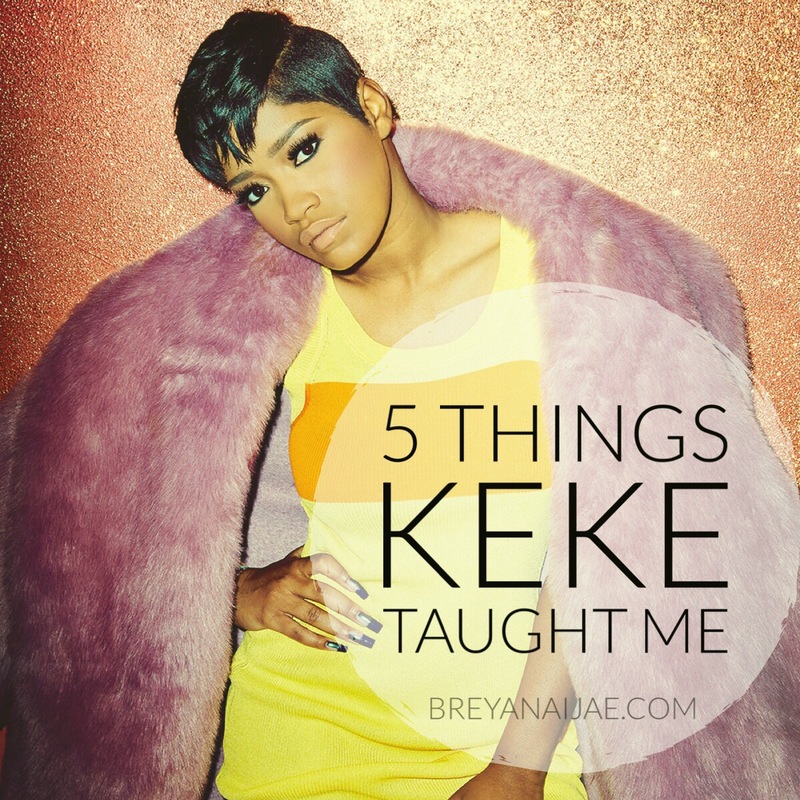 It’s very rare that I find a celebrity that I look up to or find inspiration in and Keke has filled that role. I happen to love her drive, work ethic, and the way she goes hard to bring her visions to life. First off, if you’re not following her on Snapchat you are definitely missing out. She comes through with the humor and good word daily. From snapchat alone I’ve walked away with so much inspiration, and not to mention how she’s been doing her thing with taking her music career to the next level. Here’s 5 things I’ve learned and used as motivation. Be Yourself – A lot of celebrities tend to bite their tongue or choose wisely what they say or showcase to protect their image. While that’s understandable and I’m sure it’s done by everyone, Keke is very open and her personality will have you laughing or either nodding your head at the gem she just dropped. She always seems to stay the same and doesn’t feel the need to switch up in interviews. She knows how to have fun and when it’s back to business. Self-love is the best love – Now, I preach about self-love 24/8 but sometimes we all need a reminder. Head over to snapchat and you can probably find Keke giving some advice on why loving yourself is the first step in anything. As I said she’s very open and she’s blessed the snap with a few stories and situations and how she overcame them. Her twitter and Instagram also holds some advice and good motivation. Follow Your Heart – Everyone won’t see your vision or agree with the decisions you make. Keke always talks about following your heart and doing what makes you happy regardless! Keke is wise beyond her age and I’ve come to like her so much because I see parts of myself in her. She’s a celebrity that’s easy to relate to and uses her platform to motivate, empower, and inspire which I set a goal to do everyday. She’s very humble, funny, and makes it her goal to tell everyone that it’s possible to follow their dreams. Keke is also writing a book, “I Don’t Belong to You: Quiet the Noise and Find Your Voice” set to release in October. It’s a self-help guide and inspirational memoir. I’m also getting ready to release my book next month (May 3rd) which is also a self-help book, and story of how I overcame heart break/ other trials and tribulations and used it as fuel to go harder, so hey girl we out here working! So today is the perfect day to have a perfect day and I hope this week you utilize your time, be yourself, love yourself harder, be patient, and follow your heart. Queens see Queens, Happy Monday!